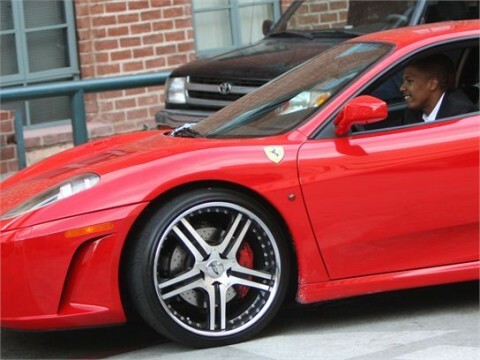 Nick Cannon went to Platinum Motorsport to get some wheels put on his 2007 Red Ferrari F430. First off, it is a great decision to pick red as the color for his Ferrari, any other color just doesn’t look as good on a Ferrari. He ended up going with some brushed and black Agetro C-S250 wheels. The design of the wheel is really cool. It looks like 5 arrows pointing at the Agetro star cap in the middle. I also like the finish on the wheels – brushed face, black trim, and a chrome lip. A lot of people play it safe with Ferrari wheels and usually have them painted completely black, but the chrome lip really works reflecting the red calipers of the car. With his wife expecting twins, I think its time for him to trade in this 430 for a 4 door Porsche Panamera.